Katsa is a Graceling, a person with an extraordinary ability. Life for her isn’t easy. 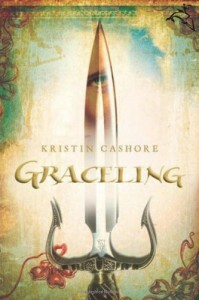 Gracelings are feared and exploited in the best of circumstances and for Katsa it is worse because hers is the Grace of killing. Katsa’s Grace was discovered when she was still a child and since then her uncle King Randa has used her as a thug, carrying out punishments for him whenever he deems it necessary. Everything changes for Katsa when she meets a young man who is also Graced who makes her question her roll in life. I did enjoy this novel. It wasn’t fantastic but it was good. The story was interesting and original and Katsa was a strong and resourceful lead. Throughout the book she learns not to play into everyone else’s expectations and finds a way to live her life in a way that makes her the happiest. Unfortunately Katsa and Po both seemed a little flat. Maybe it was the dialogue but they both came off a little lifeless and unrealistic. Po was especially bad, I kind of felt like if he disappeared from the book we still could have gotten from point A to point B without much trouble. But again, I didn’t dislike him. He just wasn’t great. I felt the most interesting character was Bitterblue, oddly enough. She was also the one who seemed to grow the most throughout the course of the book. I wish we had learned more about her and what was going on with King Leck. On the topic of King Leck, did anyone else feel like that story line was kind of anticlimactic? He was just deadski all of a sudden. I actually had to reread the page because I missed where he actually kicked the bucket. I know there are a lot of people complaining about The Message in this book. I guess there are people who feel that the book is trying to convince young girls that marriage is bad and babies are gross. 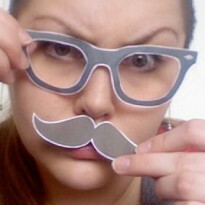 And…eh…I dunno. I didn’t really feel that was the case. Ok, true, Katsa doesn’t want to get married ever and babies are totally not going to happen but she doesn’t force these views on anyone else. She isn’t horrified by other people’s decision to marry, she just doesn’t understand it. I’ve read reviews where people are throwing out terms like ANTI MARRIAGE PROPIGANDA!!!!! Aaaaiiieeeee. Scary stuff dudes. In my humble opinion, Katsa is damaged from years of being used by King Randa. She grows up isolated from other people, unable to form friendships because almost everyone was terrified of her. She doesn’t trust people and the only person who was romantically interested in her before Po was a douche bag. Giddon actually thinks Katsa needs protection and that marriage is the way to do it because then Randa can send her away to live with Giddon. He also tells her that she isn’t an “unnatural” woman so she’ll obviously want babies at some point. Um…way to respect a ladies choice, assface. I also felt like the relationship Katsa has with Po is very sweet and appropriate. Maybe the author was trying to show that a relationship between two people who aren’t married can be just as valid as the relationship between people who are married. And maybe she was trying to say that it’s totally ok for a woman to not have kids. Or, maybe I’m crazy. I don’t know. All I am certain of is I would take Katsa in all her unwed glory over any one of those useless, sniveling ninnies contained in the pages of books like Twilight and House of Night.